We like exploring big cities in Europe, especially ones with an interesting story, but there’s something special about the countryside. We like the simplicity of village life. The fresh air, the friendly smiles, the slow pace. One of our favourite spots in Europe is the Mosel River Valley, located in western Germany near France and Luxembourg. Pictured above is a village named Reil, captured while on a morning hike. The region is famous for its steep vineyards, fairytale castles and cute medieval villages. It’s easy to fall in love with this part of the world. Stay tuned, we’ll be sharing more photos and stories from our time in the Mosel River Valley in the coming weeks. Have you seen the Floating Seated Man? 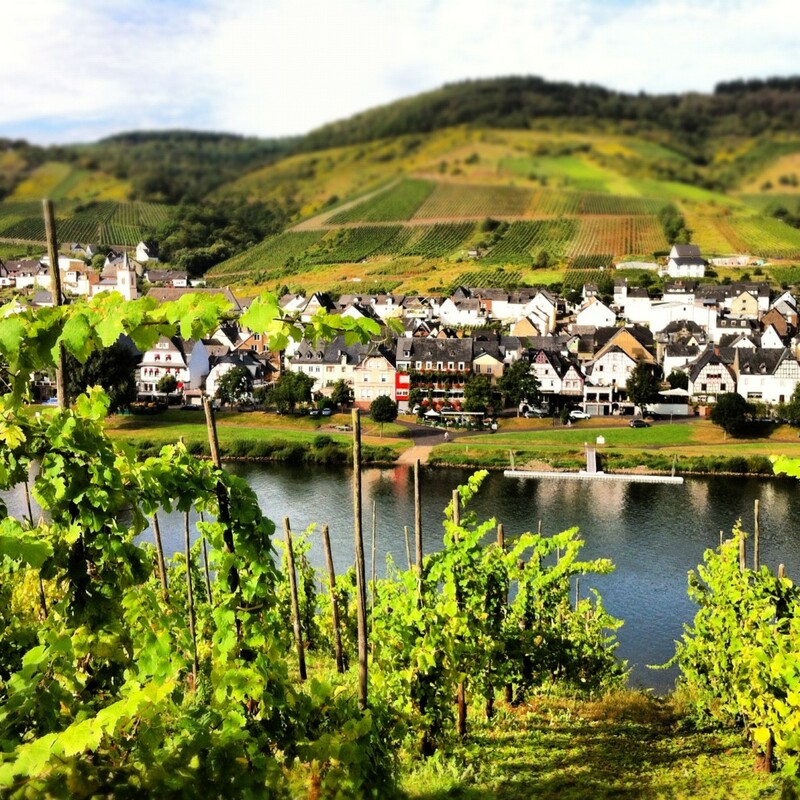 Have you visited the Mosel River Valley? What did you think? We lived in Koblenz for almost 5 years when I was young and my parents often took us hiking in the vineyards along the Mosel River valley. Unfortunately, I didn’t really appreciate it at the time, since I was 10-15 years old. I have a similar memory of my time in Nairobi. I remember it, but i was too young to fully appreciate how cool the experience was. Went through that area years ago and loved it too. I remember being amazed at the steeply terraced vineyards. A gorgeous photo.